For many people, lamb is considered a holiday or special occasion meat, most likely served in the form of a rack of lamb or leg of lamb at Easter or Christmas. However, there are many cuts of lamb that are smaller, less expensive and allow for easier cooking methods. 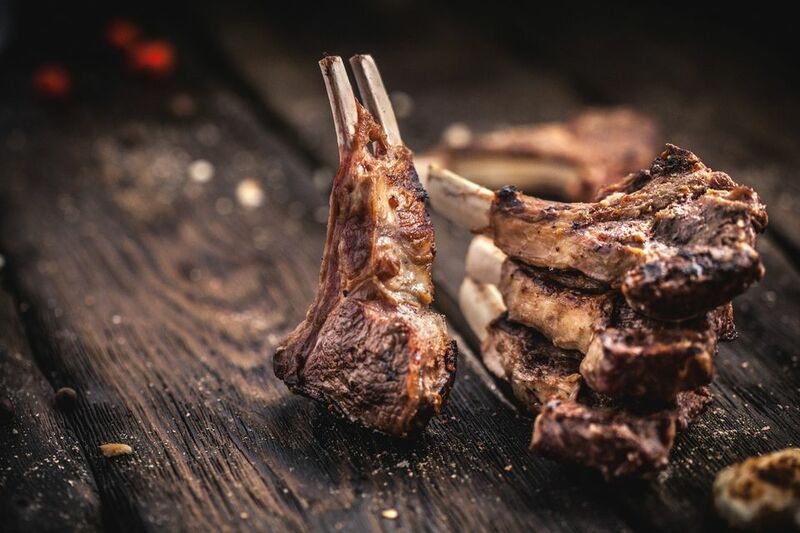 The chops are by far one of the most popular and widely available cuts of lamb. They typically come from either the rib or loin of the animal and butcher shops and grocery stores usually carry them in about a 4-ounce serving size. These perfectly portioned chops are easy to cook either on a grill or pan-fried. Combine the ground black pepper, ground coriander, ground cumin, lemon juice and oil in medium bowl. Add the lamb chops, cover and marinate in the refrigerator for at least 1 hour, but up to 24 hours. Cook the lamb chops for 5 to 7 minutes on each side on the grill or under the broiler in the oven. Season with salt. Serve with white rice, salad and pita bread. You can also serve with fried potatoes for an informal meal or cookout. You can also make the lamb chops in the slow cooker, cooking on low for 8 hours. The slow cooker really makes the meat tender and gives the spices time to soak into the lamb. Shoulder Chop: Inexpensive with lots of fat marbling and a shorter cooking time. Rack: Contains 7 to 8 ribs from the center of the lamb and perfect for fancy presentations. Ribs: The most economical cuts that are great for braising or grilling. Breast: A somewhat tough cut that works well for slower cooking methods. Shanks: Lean, tough but meaty and deeply flavored cut that's great for long, slow cooking methods. Leg: A festive choice for holidays, the leg can be whole, butterflied, bone in or boneless. Kabob or Stew Meat: Trimmed and cubed lamb from the shoulder or leg that are great for grilling or slow cooking stews. Shop for lamb that is a rosy pink or red color with fine-grained meat and firm, white fat. You can also look at the label markings. USDA Prime will have the highest tenderness and flavor rating and usually a higher fat content while USDA Choice will be slightly less tender. Lamb is great marinated as any type of marinade can make an inexpensive cut of lamb tender and juicy. This recipe for marinated, grilled lamb chops will be an easy family favorite whether you make it on the grill, the stovetop, or even in a crock pot. Serve it over rice, fried potatoes, or with a salad and you have a healthy, quick meal!